The 5th Annual BRODY BASH Fundraiser took place on Saturday, June 8th from 5:00 pm to close. 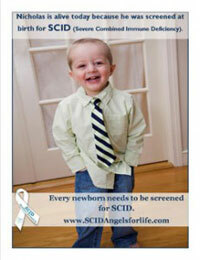 1/2 of the proceeds from this years event (just over $1,800) was donated to SCID, Angels for Life. Thank you to everyone who came out and showed your support for this amazing SCID family!